Jackie Jackson Daley is the mother of two boys ages sixteen and eight. Her older son has multiple special needs resulting from early surgical trauma, including a diagnosis on the spectrum as well as Tourette’s, cerebral palsy, PTSD and global cognitive delays. She has spent the sixteen years working to advocate for her son in the world. 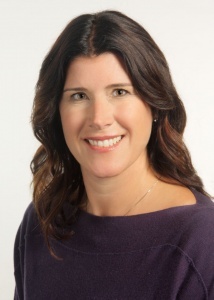 Lisa McDonough has over twenty years experience in Human Resources Management and Leadership Coaching. She is an accredited facilitator of several internationally recognized behavioral profiling tools. As a result, she understands ‘what makes people tick’ and how to get the best out of them. For years now Lisa has been designing and facilitating behavior based leadership and team development programs for organizations all over the world. Regardless of country or industry she is consistently asked "can we do this stuff" for teens - the next generation of employees. Lisa is asked this by business leaders and participants on our programs, many of whom are struggling with new hires or as parents of teens themselves. So, she has taken what she knows and applied it to the next generation, equipping them ahead of time with the tools and resources they need for work and life success. She wants them to be able to make smart decisions about educational direction and career - to be informed, empowered, and focused on the things that energize them, versus the things that they think they 'should' be doing. She wants to turn around high school and college drop out rates, teen depression and overwhelm; and positively impact life satisfaction and resilience. She also wants to engage parents in their teen's journey; equipping them with tips, tricks and strategies to set their teens up for success. provide tools and resources to parents of teens - to instill productive habits and behaviors in the home. develop a behavior profiling tool just for teens - to foster self-awareness and improve relationships, communication and decision making. facilitate engaging workshops and programs for teens and parents of teens across relevant touch points - schools, corporates, community groups etc. Surprise! Our kids are growing up in a different world; one with more complexity, and an overwhelming number of choices. Their education supports a lot of learning and information, yet limited life skills. And in our continual angst over their future, and with the best of intentions, we often disempower them. Our purpose is to support you in preparing your teen to one day ‘leave the nest’ and confidently embrace the challenges and triumphs of adulthood. Check out our Shop page for workshops and resources. We know that success as a teen is most often measured in terms of academic results and intelligence (IQ). In their limited life experience this is the basis on which many of our teens are making future study and career decisions. But how can we balance this with emotional intelligence (EQ) - their capacity for self-awareness; their ability to understand what motivates them as individuals; their capacity to understand the needs of others? Do they have the self-awareness to make smart decisions regarding their future? That’s where we come in! We facilitate teen workshops designed to help students understand their unique behavior style - what makes them tick and how to embrace success behaviors. To hear more, click on the link below. We understand what it takes to be successful at work. We also know that employers who invest in employee engagement programs can positively impact both current and future employees. That's where we can help! 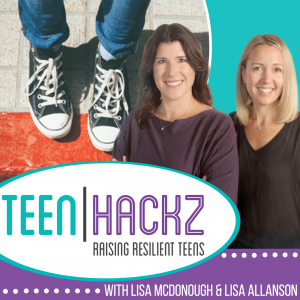 We facilitate Raising Resilient Teens and Decoding Teen Behavior workshops for employees with teens. The outcome is improved relationships in the home and happier employees at work.